• You can choose from the numerous sub-genres of mystery and suspense. 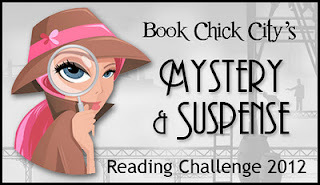 If you're interested in signing up visit Book Chick City's Mystery and Suspense Reading Challenge sign-up page. I love mysteries...this one could be detrimental to my TBR list!! Enjoy!